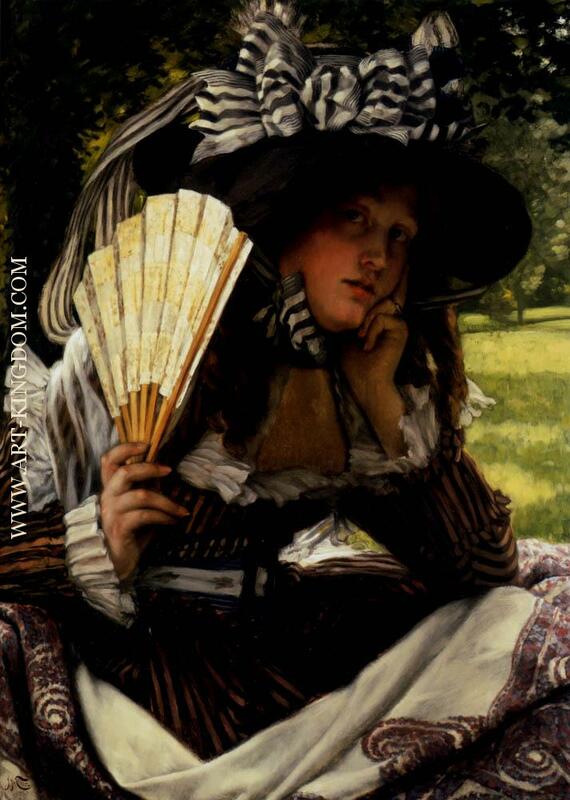 James Jacques Joseph Tissot (15 October 1836 – 8 August 1902) was a French painter, who spent much of his career in Britain. 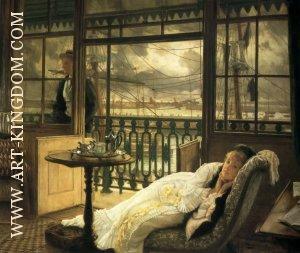 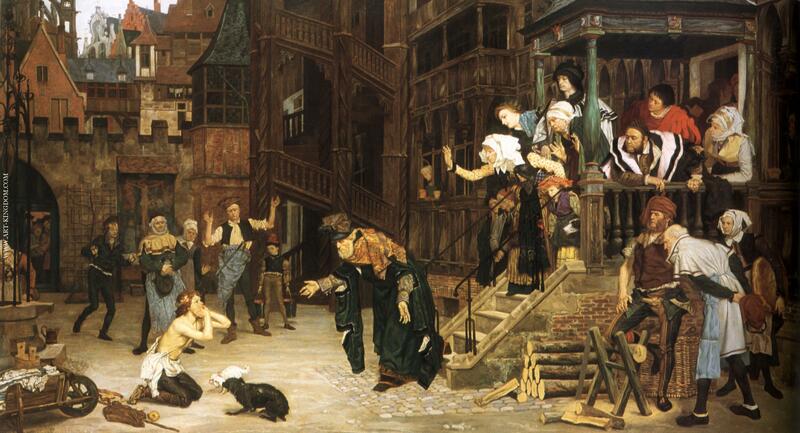 Tissot was born on October 15, 1836 to a family of Italian descent in the port town of Nantes, France. 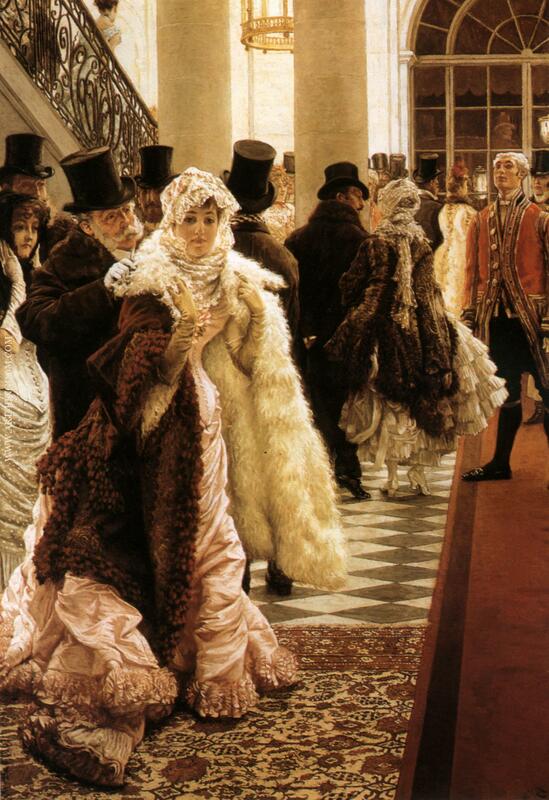 His father, Marcel Théodore Tissot, was a successful drapery merchant while his mother, Marie Durand, assisted her husband in his business and designed hats. 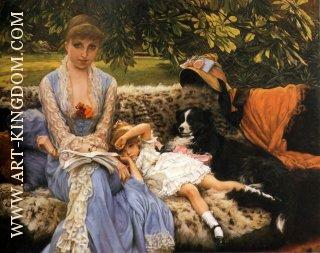 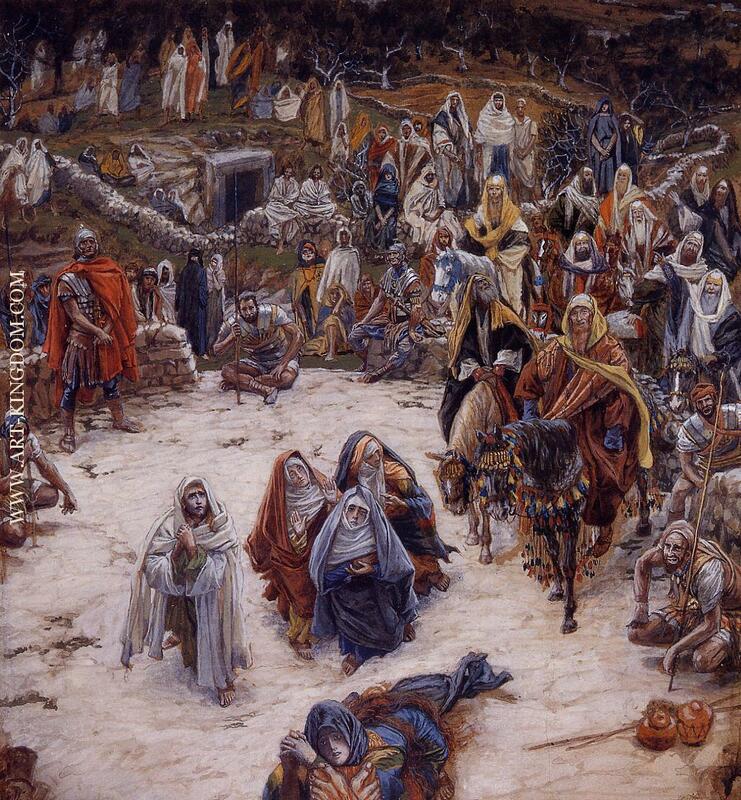 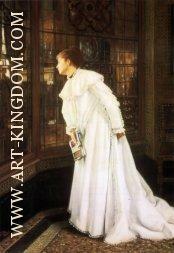 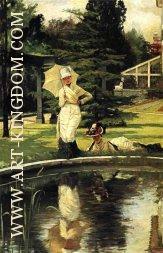 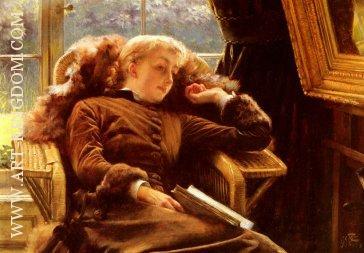 His mother was also a devout Catholic and instilled pious devotion in Tissot from a very young age. It is widely believed that Tissot's youth spent in Nantes contributed to his frequent depiction of shipping vessels and boats in his later works. 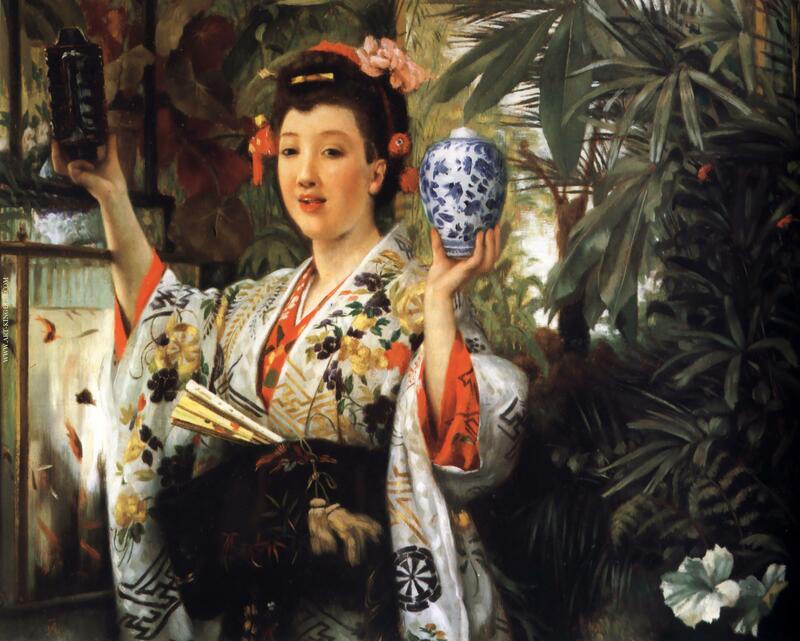 Also, there was most likely an influence of his parents' involvement in the fashion industry on his attention to women's clothing over the course of his career. 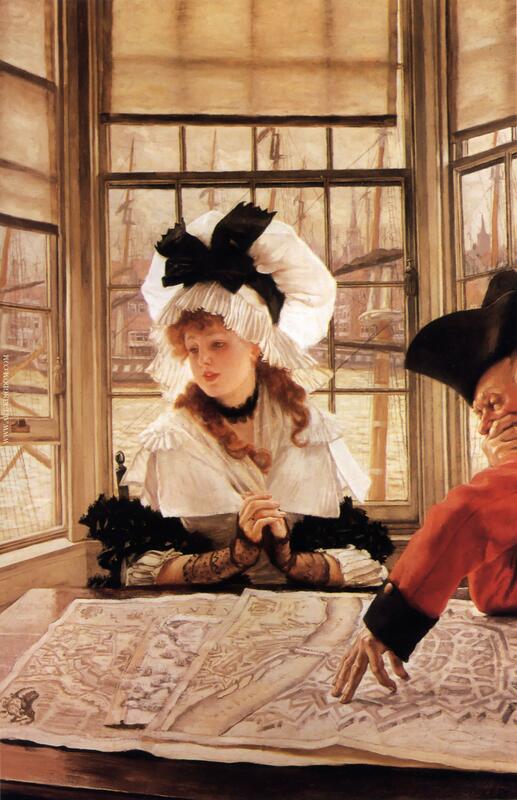 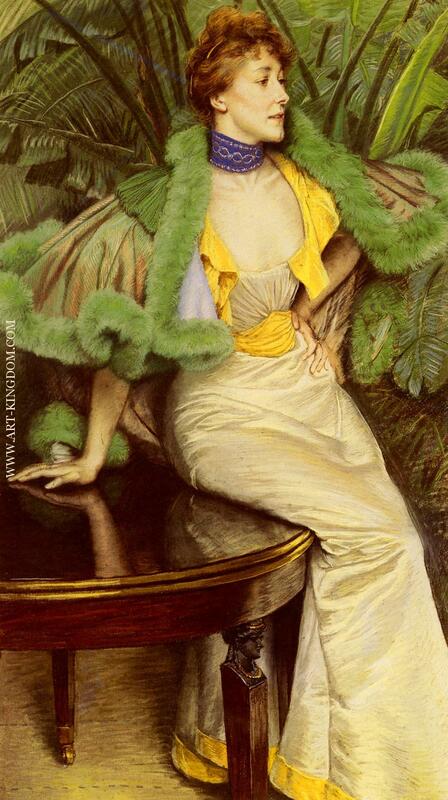 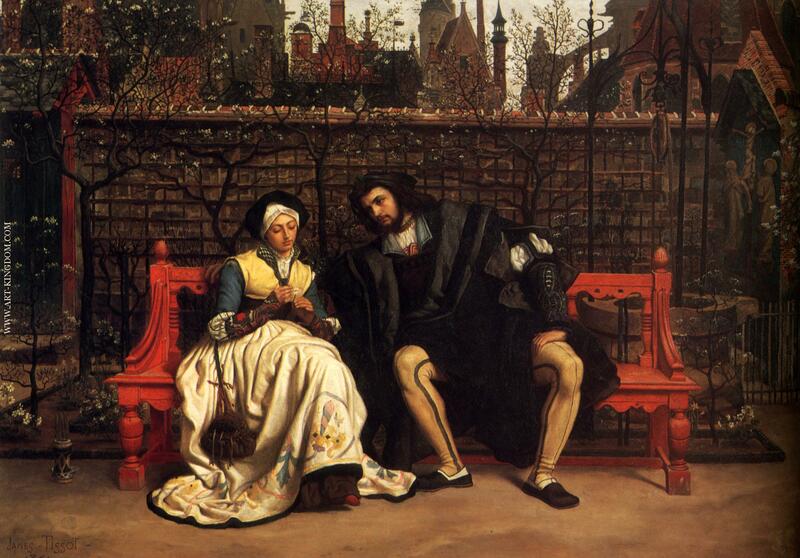 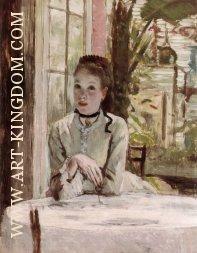 By the time Tissot was 17 he knew he wanted to pursue painting as a career. 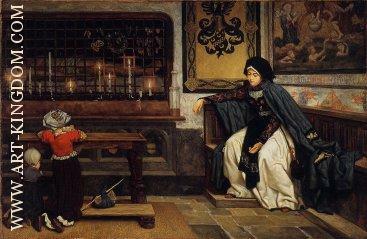 Though his father did not support this decision, they eventually were able to overcome the disagreement. 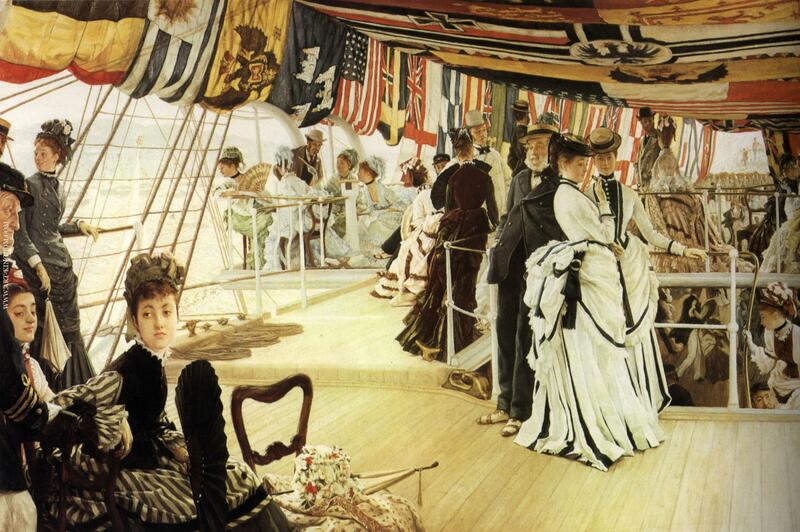 In 1856 or 1857, Tissot travelled to Paris to pursue an education in art. While staying with a friend of his mother, painter Elie Delaunay, Tissot enrolled to study in the studios of Hippolyte Flandrin and Louis Lamothe, both successful Lyonnaise painters who came to Paris to study under Ingres. 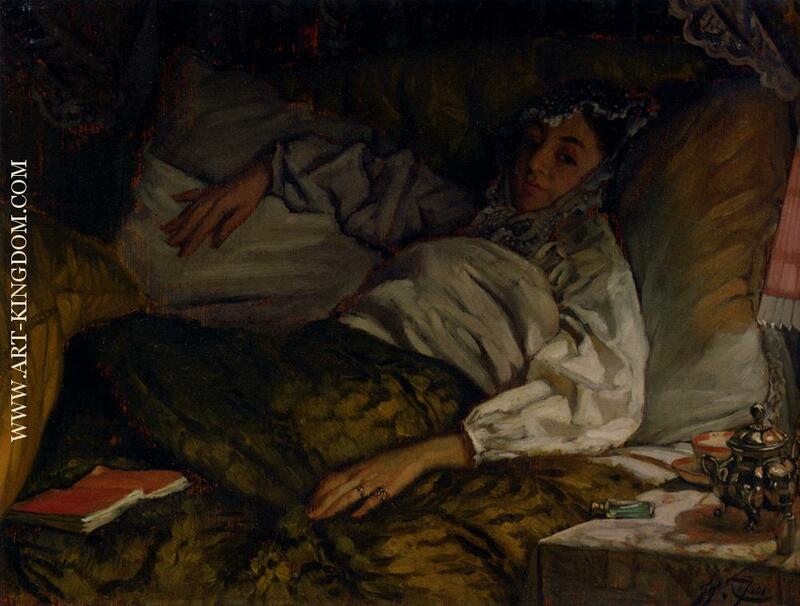 Lamothe provided a majority of Tissot's studio education, while he studied on his own as most other artist of time by copying works at the Louvre. 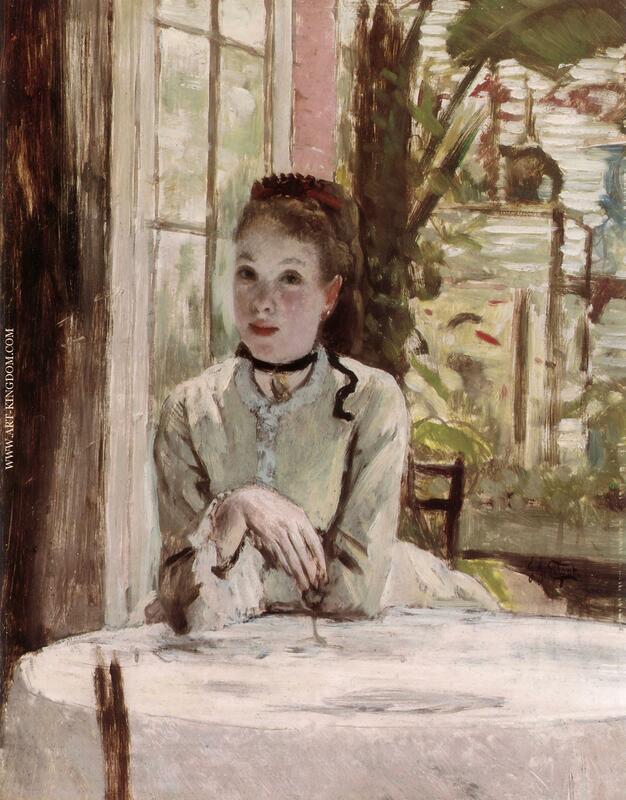 Around this time, Tissot also made the acquaintance of James McNeill Whistler as well as Edgar Degas (who had also been a student of Lamothe and a friend of Delaunay) and Édouard Manet. Tissot exhibited in the Paris Salon for the first time in 1859, where he showed five paintings of scenes from the Middle Ages, many depicting scenes from Goethe's Faust. 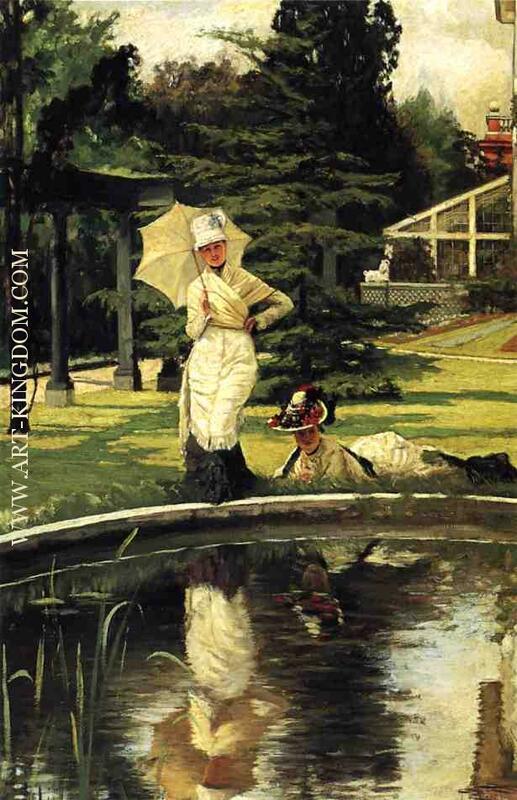 These works show the influence of the Belgian painter Henri Leys (Jan August Hendrik Leys), whom Tissot had met in Antwerp in 1859, over his work.